Does your baby cry endlessly despite your best attempts to soothe them? Have you tried countless techniques without any relief? Do they quiet while held only to cry when you try to put them down? Fussy Baby Solutions is the workshop for you! Center City Pediatrics and Center City Pediatrics Bala Cynwyd understand that a happy baby makes for a happy caregiver. Sure, crying and fussiness are both completely normal parts of infancy – but that doesn’t mean you have given up restful nights and peaceful days forever. 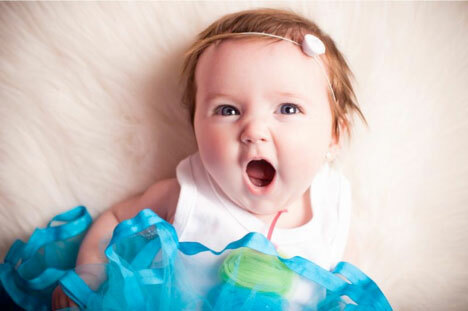 Fussy Baby Solutions is offered monthly in our Center City Philadelphia office. During this 60-minute workshop, facilitator Erica Desper will explore a variety of recipes for calming a frantic baby, including the “5 S’s”, babywearing, swaddling and more. Erica is a certified Baby and Child Sleep Coach as well as a Certified Educator in Infant Massage. You’ll learn why babies experience periods of inexplicable crying, when things improve and how to survive in the interim. Each session costs only $20. Advanced registration is highly encouraged. Please see the calendar for a full listing of class dates and to register online. Interested in additional classes for new parents? Our “Snuggles & Struggles” Series packages our 3 most popular newborn classes – “Newborn Sleep 101”, “Infant Massage” and “Fussy Baby Solutions” for a cost of only $50. Contact our events coordinator at 215-735-5600 x123 to inquire about this option.